Due to daily use, the drain in your bathroom and kitchen sink can become clogged with grease, fats, hair and with soaps and detergents. Soaps, grease, fats, hair and detergents builds up inside the drain over time and will keep the drain from functioning properly. You may be able to unclog the drain with a household plumbing product, but in many cases you will need to hire a reputable and top-rate company like ours that is well experienced with Clogged Drains in San Tan Valley, AZ to do the job right. If you hire us, we guarantee that our highly skilled and well trained crew will fully inspect your plumbing and will find the source of the problem. You can trust our technicians to fix the problem right away. They will use professional grade equipment and modern techniques to unclog any drain in your home. We offer the best and most reliable drain cleaning services in the region and guarantee that our first-rate team will do the job an exceptional job and will do the job right the first time. We run a well established and trustworthy plumbing company that has been in operation for many years. 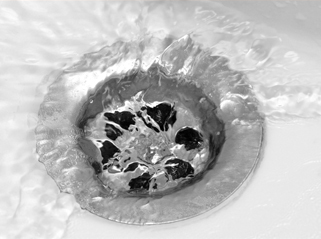 You can trust our well trained and experienced crew to unclog the drain in your kitchen or bathroom sink. We offer top-rate services that will not be beat and that are unmatched by any of our competitors in town, which means you can put your trust in our top quality drain cleaning services. Contact us today to make an appointment if you are looking for a plumbing company that will do an efficient job. When our reliable team completes the job, we assure you that your Clogged Drains in San Tan Valley, AZ will be thoroughly cleaned and will function as they should.